On Wednesday, 5th April 2017, over 1,000 young people, who are currently participating or have received the Pope John Paul II Award in the last 10 years, gathered at Knock Shrine to celebrate the 10th Anniversary of the Award. 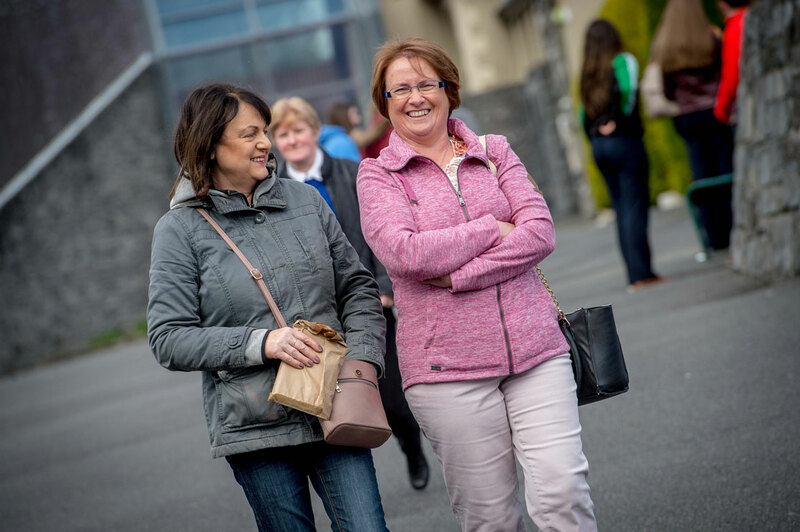 When the Award was launched in Derry in 2006 by the Papal Nuncio, Archbishop Lazarotto, it was never imagined that the Award would spread beyond the diocese. It has now been introduced into 22 dioceses in Ireland and 2 in Britain – the Archdiocese of Birmingham and the Diocese of Hexham and Newcastle. In the last ten years, over 20,000 young people have enrolled in the Award. 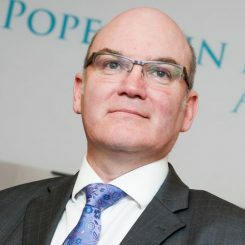 It was acknowledged recently, that the Pope John Paul II Award is the largest youth movement in the Church in Ireland today. Young people from 17 dioceses right across Ireland rose early on Wednesday morning to travel the journey to Knock Shrine in county Mayo. The ceremony started at 11:00am with the welcome liturgy. Pope John Paul II Award participants from each dioceses had a role to play in each of the liturgy. They had the opportunity to share their experiences of participating in the Pope John Paul II Award, discuss how it impacts on their faith and recognise the special place they have in their Church. At 12 noon, the crowd paused for the Angelus. Afterwards they listened to inspirational talks by the guest speakers and partake in a short Q & A on what the Award means to them. Elma Walsh, mother of the late Donal Walsh gave an inspirational talk on the power of enjoying life #livelife, which touched all those in attendance. Elma was given a standing ovation which reflected the enthusiasm for her message. 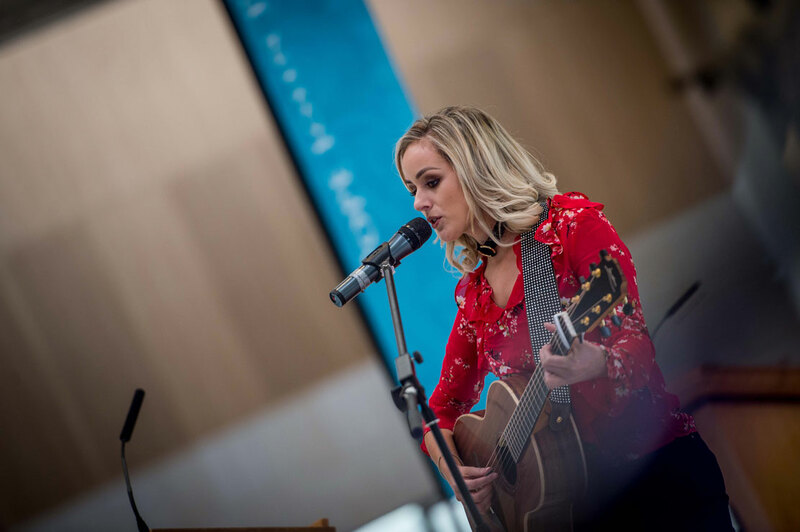 Singer/song writer Niamh McGlinchey gave a special performance at the event. Niamh achieved her Pope John Paul II Award in 2009 and had a very inspiring story to tell on how the Award influenced her at that time. Elation Ministries provided inspirational music throughout the day and were supported by choirs and singers from Tuam and Galway. After lunch, the crowd gathered at the Apparition Chapel to listen to a history of Knock by an Award participant from the diocese of Killala supported by the choir from Scoil Bhríde, Mercy Secondary School, Tuam, Co.Galway. It was followed by a decade of the Glories Mysteries of the Rosary lead by participants from the diocese of Kildare & Leighlin and finished with a moving rendition of Our Lady of Knock by soloist Anne Marie Hickey, Diocese of Derry. Those in attendance made their way back to the Basilica to celebrate the Eucharist with Chief celebrant, Bishop Donal McKeown, Bishop of Derry, Patron of the Award. He was joined by a number of priests from participating dioceses. Mass started with a procession of banners of all those dioceses in attendance and a beautiful liturgical dance by St Mary’s college, Derry. The reading ‘A Reading from the first letter of Paul to the Corinthians’ was read by an Award participant from the diocese of Kildare and Leighlin. A liturgical dance was performed as part of the Luke’s Gospel. At each line of the Gospel a coloured ribbon was gently extended to it’s full length. Purple Ribbon: To proclaim the Lord’s year of favour. He then rolled up the scroll, gave it back to the assistant and sat down. And all eyes in the synagogue were fixed on him. Prayer of the faithful were read by Award participants from 6 attending dioceses. The Offertory Gifts were from the 4 Archdioceses of Ireland, the Archdioceses of Armagh, Dublin, Cashel & Emly and Tuam. Eucharist ministers taking part in the Award gave communion. During communion a moving solo was performed by Katie Cunnane, from the Archdiocese of Tuam. The ceremony concluded just after 4.00pm. To continue the celebrations of the tenth anniversary, there will be a Pope John Paul II Award pilgrimage to Rome at the end of October 2017. More information of this pilgrimage can be found on the events section here. If you attended or were part of this special event at Knock Shrine we would love to hear from you. Tell us if you enjoyed it and what it meant to you. Leave a comment in the comment box below. Thank you.